I couldn’t get award availability out of London to Singapore for two of us in Business, so needed a connecting flight to Frankfurt to pick up Qantas’ other European service, QF6 to Sydney (via Singapore). 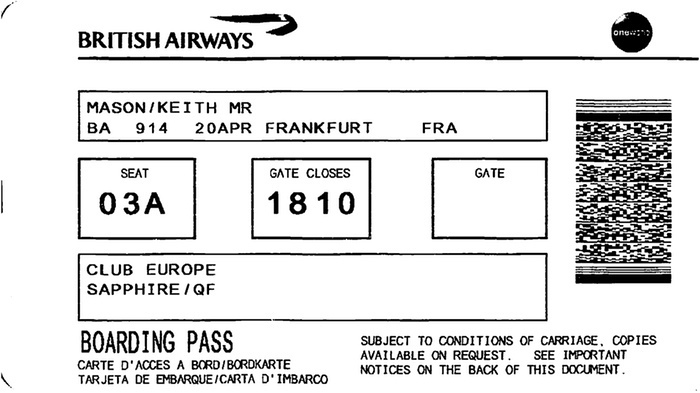 Both our tickets were originally booked in Economy – one a BA points award and one a paid booking at a total cost ~$160. The paid booking was in my name – again for the Qantas status credits. BA offer paid upgrades to bookings made through BA directly on short haul european flights – either 100 Euros or 100 GBP one way, depending if you’re departing from Europe or the UK. It’s not horrendous value – we had extra luggage that would have cost 28 GBP per bag, so upgrading one person to take two extra checked bags covered most of the cost of one upgrade – and it jumped me from earning 10 to 40 SC’s – another step closer to Qantas Gold for next year. Availability of these BA upgrades is not possible to confirm before you buy. It’s up to the BA website gods to offer you it at a future date, so worth going back to BA’s Manage my Booking page to see if availability has come up. I have however had some success by keeping an eye out for Club Europe award availability on BA for the flight you’re booked into in Economy – if there’s award availability you’re more likely to be offered the upgrade in my experience. This has worked for me twice now, and I upgraded both of the revenue and award tickets for some more space for the three of us and to save us having to pre-purchase the excess baggage. 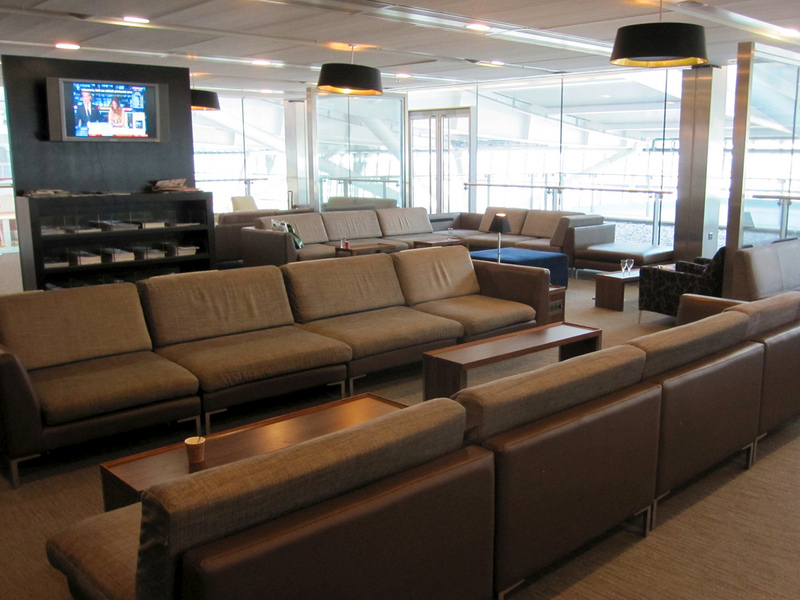 The full review of the BA Galleries lounge is live over at AusBT, so please go read it there. 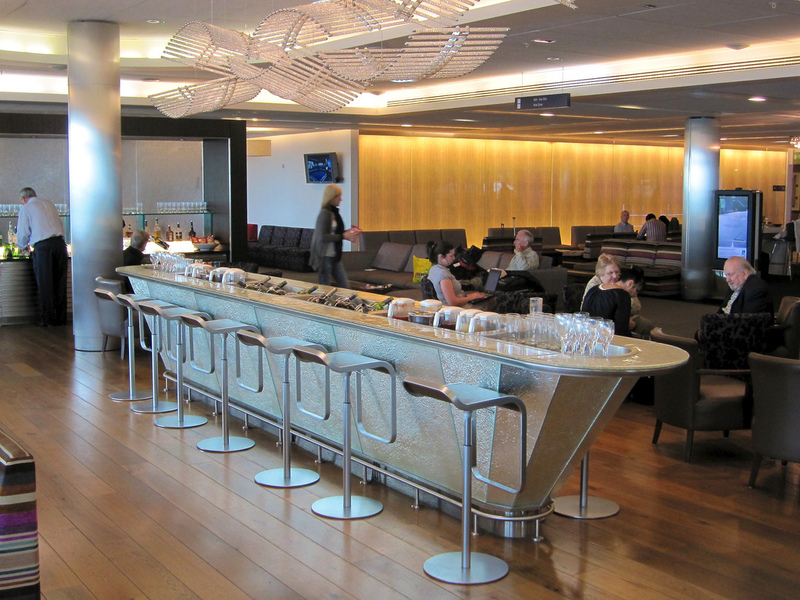 My conclusion is pretty straightforward – BA really needs to add some wow factor to an otherwise decent lounge. I found the BA Terraces lounge in T5 to be nice enough. Everything was clean, tidy, and well-serviced – but overall it was all just a bit functional, with very little wow-factor and little bit of a high street cafe feeling. 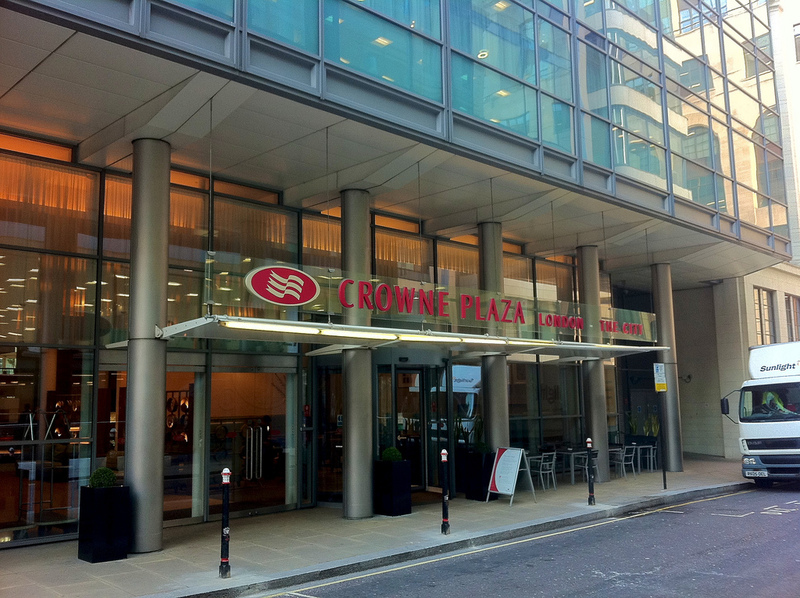 It did seem quite homely (maybe because I’m an ex-pat Brit) and given that, I’d take good food in a nice environment, with everything you need over a try-hard, but miss, lounge anyday. After hanging out in the lounge for an hour, we made our way down to boarding about 20 minutes before departure. BA must have been running bang on time, as we realised as soon as we left the lounge that we were actually cutting it quite fine – after upping the walking pace, we arrived at the gate to find we had become ‘those people’ – yep, we were last on at final call, and they were calling our name. Crap – cue embarrassment. The gate staff and cabin crew were fine about it though, but any later and we probably would have got some dirty looks. It certainly helped we were in Club (and I was wrangling our 4 month old). We sat ourselves down in row 3 and started unloading our gear and settling in – after about 30 seconds the doors were closed and we pushed back, really driving home that we were the last in. Again, I was thankful for the upgrades as we didn’t have to traipse back 30 rows to the back of Economy, and do the walk of shame! The flight itself was scheduled for 1 1/2 hours duration, and we left on time. After a short while, the cabin crew offered drinks and started prepping food. They were very happy to help us out by delaying one meal while the other person looked after our little one, which was great and unexpected on a short flight like this. It meant the crew had to clean up the last meal well after we began our descent, but it was much appreciated as we could both enjoy our food fully. Well done BA. 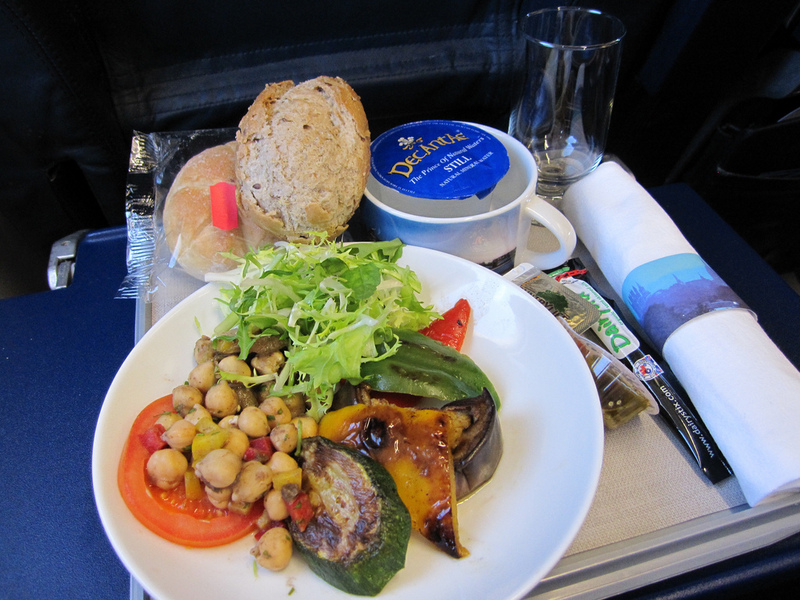 The food was tasty – I had a Salmon salad as a main, and the vegetarian option was a Grilled Vegetable salad. Both were sizeable and appropriate for the flight duration and timing. Unfortunately we were short for time on this leg so I didn’t take too many pictures, but there’s a couple of the food below. All up, BA914 did us well and connected nicely onto QF6, with plenty of time before departure onto Singapore. Thankfully BA’s service was up to scratch after our past experiences from New York to London and up to Glasgow – friendly, unassuming and helpful.